After much negotiation, and plenty of dilly-dallying, Apple’s much-anticipated India manufacturing facility finally has a home. Karnataka – home of India’s Silicon Valley of Bangalore – has snagged the lucrative Apple manufacturing facility that the company has been meaning to build for a while. This was announced by the infotech department of the government of Karnataka. “Apple’s decision on initial manufacturing in Bengaluru has further enhanced the reputation of Bengaluru as the most preferred destination for foreign investment and further validation of the State Government Policies aimed at fostering manufacturing, innovation and investments in Karnataka,” said the statement. Apple is expected to start production for the Indian market in April, and will reportedly make phones at the new plant. Its manufacturing partner, Wistron, is believed to have identified a facility in Peenya, an industrial suburb of Bangalore, as the location for the plant. 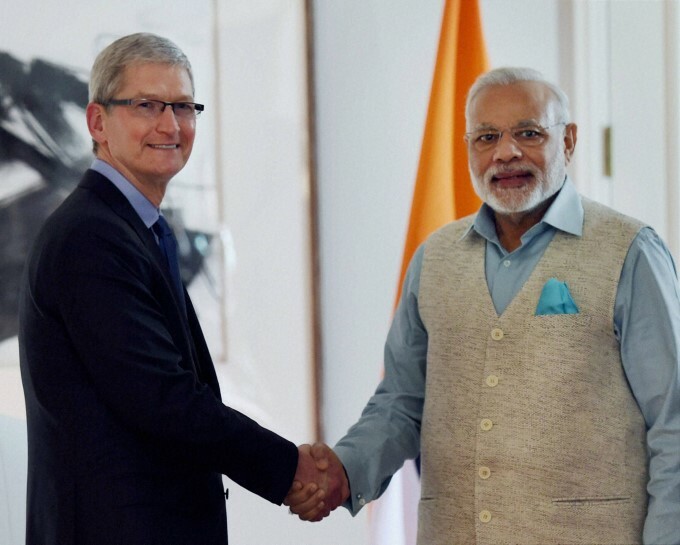 Apple had been actively lobbying with the Indian government for concessions in setting up its India facility. Apple CEO Tim Cook had visited India last year, and had gone on a charm offensive, meeting Bollywood celebrities and cricket stars. He’d also met Prime Minister Narendra Modi, and had also sent him a telling birthday wish on Twitter, which had said Vasudev Kutambakam, or the world is one – a clear reference to open borders for companies who wished to manufacture goods abroad. Following his visit, the government had relaxed the requirement of companies needing to locally source 30% of their manufacturing materials in order to be able to retail their goods in India – this had opened the doors for Apple to set up its Apple Stores in the country. For its manufacturing facility, Apple had reportedly was seeking a 15-year tax holiday on import of components and equipment. Historically, no firm, including competitors such has Xiaomi, had asked for such concessions in India. But the government might’ve been more pliant at the idea of the world’s most valuable company setting up shop in the India. India is fast-growing market for Apple, but still accounts for a small percentage of its overall sales. 2016 was Apple’s best year in India since it entered 8 years ago, and the company managed to sell 20 lakh shipments, but these accounted for a mere 2% of all phone sales in the country. Apple, though, has been ramping up its India presence over the years in other ways – last year, it had set up an development office in Hyderabad that worked on Apple Maps, and had also acquired a Hyderabad-based startup, TupleJump.